Opening on 6th September this year at the Araluen Arts Center, Desert Mob is an annual event of contemporary Aboriginal art presented by Araluen Arts in partnership with Desart. Opening on 6th September this year at the Araluen Arts Center, Desert Mob is an annual event of contemporary Aboriginal art presented by Araluen Arts in partnership with Desart. Since 1991, Desert Mob has been incrementally built on the exhibition to now a rich festival that brings artists and art lovers together to celebrate Indigenous art and culture in the heart of Central Australia. With three major programs: the exhibition opening, a symposium and a Saturday art market, the three-day weekend event offers visitors a unique visual and intellectual experience, and opportunities to collect Indigenous art and meet the artists. The Desert Mob Exhibition features artists and groups across desert regions in the Northern Territory, South Australia and Western Australia. The exhibition presents a wide range of works selected by the Art Centres, including paintings, weaving, wood carving, photography, prints and sculptures. All artworks are available for purchase. With an official opening at 5.30pm on 6 September, the exhibition will run until 21st October 2018. The Desert Mob Symposium, taking place on Friday 7 September, is a whole day of presentations and talks from artists and special guests, with highlights in creative processes and dynamic cultural initiatives. Starting at 10am, the program opens with a welcome and introduction from Desart Chairperson Jane Young, a performance by Central Australian Aboriginal Women’s Choir, and a reflection on 25 years of Desart by its CEO, Philip Watkins. and a launch event of ‘The Master from Marnpi’, a book about the life and art of Mick Namarari Tjapaltjarri. The Desert Mob MarketPlace opens from 10am to 2pm on Saturday 8 September at the Araluen Arts Centre Precinct. The art market that provides a great opportunity for collectors to buy high quality works for less than $500 from more than 30 Desart-member Art Centres. Desart is the Association of Central Australian Aboriginal Arts and Crafts Centres. 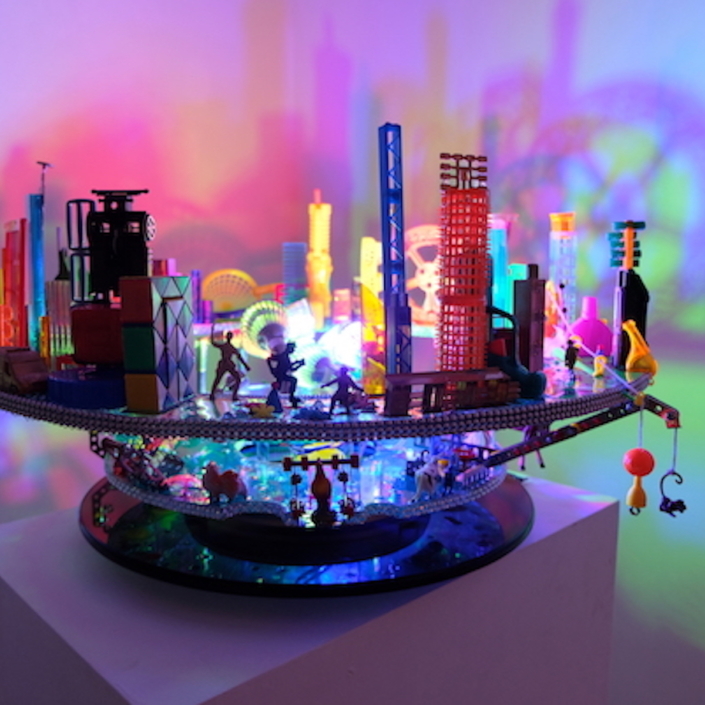 Incorporated in 1993, it now has members of 41 independently governed Art Centres, representing more than 8,000 artists. 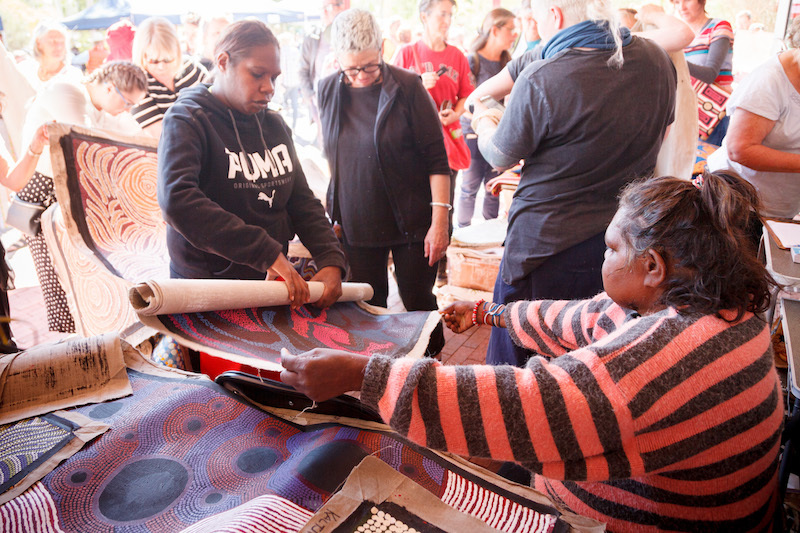 Desart is committed to supporting Aboriginal Art Centres, and providing autonomy, sustained growth and stability for Central Australian Aboriginal Communities. Image: Desert Mob 2017 MarketPlace at Araluen Arts Centre, Alice Springs. Courtesy: Desart. Photo: James Henry.